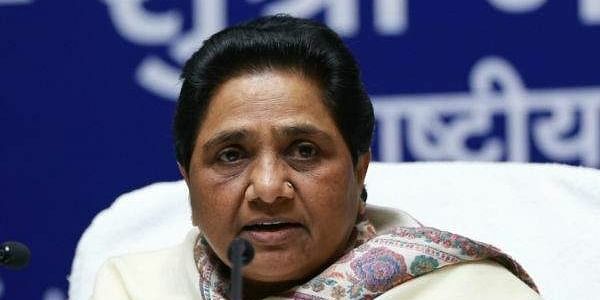 LUCKNOW: Challenging the BJP, Bahujan Samaj Party supremo Mayawati said today "with full confidence" that the saffron party would lose the general elections due in 2019 if ballot papers are used, instead of electronic voting machines. Mayawati's remarks came a day after her party came second to the BJP in the civic body polls held in Uttar Pradesh. The BJP won 14 out of the 16 mayoral seats in the state. The rest were won by the BSP. "If the BJP claims that they enjoy the mandate of the people, and the entire country is with them, then they should set aside the EVMs and hold the elections through ballot paper. And, I can say with full confidence that if the 2019 Lok Sabha polls are held by ballot paper, (the BJP) will not come to power," Mayawati claimed. She was speaking to reporters after paying tributes to Buddhist monk Bhadant Pragyanand, who died on November 30. Pragyanand, youngest among the seven monks who had initiated 'Babasaheb' Bhim Rao Ambedkar into Buddhism in 1956, died at Lucknow's King George's Medical University. "We fought the urban local bodies in Uttar Pradesh on party symbol, and it makes me happy to say that along with Dalits, in cities people belonging to backward castes, the upper castes and minorities, especially the Muslims, also voted for us in large number," she claimed. Mayawati alleged that in the urban local body polls the government machinery was "misused". "Otherwise, more of our candidates would had become mayors in the state...and we would have won more seats," she said. On a question about forming coalition with other political parties, Mayawati said: "The BSP wants a coalition of sarv samaj - dalits, tribals, backward, minorities (Muslims), upper-castes and want to link them through bhaichara (brotherhood). "Can there be any bigger coalition than this?"